Yeah, I said it – Advent. Which means we all need to be thinking about Christmas lists soon (if you haven’t already got one). Also, we need to choose what we want for our advent calendars. I for one would like a beauty calendar this year. These are great and there are plenty to suit all budgets. I think they are a good idea as they can introduce you to a lot of different brands and/or products that you may not have otherwise come across. Check out my top 5 beauty calendars that are on offer this year! 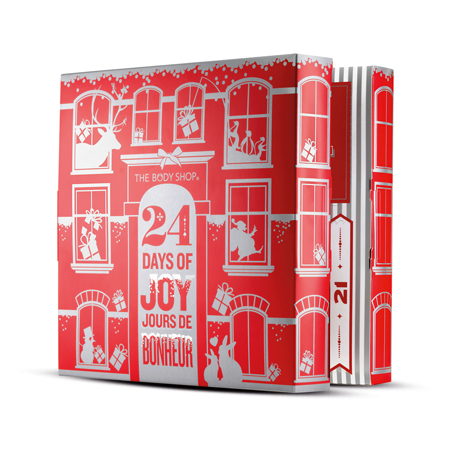 The No7 25 Days of Beauty advent calendar is the cheapest calendar that I have found. Although don’t assume that because it is cheap it doesn’t have some great items! In fact, this calendar is worth £130 so you are definitely getting a great deal. This one even has an extra gift for Christmas day! You get a mixture of skincare and beauty items. You can currently go online to Boots.com to sign up to get notification of when this is released but, from what I have found, it appears that it will be available from the 29th October. The Ciaté Mini Mani Manor calendar is absolutely fantastic if you aren’t so much of a make-up/skincare person. Every door has a new shade, texture or transfer. I like this as it can make your December really fun if you paint your nails a different colour each day. It might make you try a colour you wouldn’t normally go for too. You can pick this up at Ciaté, ASOS, Selfridges and John Lewis. The Body Shop calendar is 24 Days of Joy. This one includes lots of good and well known Body Shop products. It saves you £33 off the retail price of buying the products individually and with each purchase a donation gets made to the charity War Child. There is actually a list on the page of all of the items you will find which is useful if you are picky! You can buy the calendar online or in store now. The Benefit Cosmetics calendar is called the Candy-Coated Countdown. 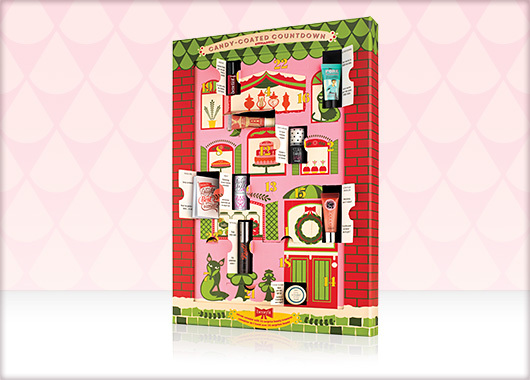 It is packed with mini versions of Benefit’s bestsellers and also beauty accessories. You can buy online at Debenhams and Benefit Cosmetics from the 16th October. This year, Selfridges has their Enchanted Spells advent calendar. This one adds fragrance to the usual mix of make-up and skincare items. The best thing about this one is that it has a load of luxury brands so you get to try products that you might not be able to afford in it’s normal size. Pick this up from Selfridges. Now this is not the lot. There are quite a few other calendars out there. An honourable mention goes to the Liberty advent calendar. At £149 you get you money’s worth with luxury brands such as Nars and Laura Mercier. You’ll have to wait until November for it though. So all in all, I think I’m going to go for the No7 calendar. It seems like I get the most for my money. I also don’t want to fall in love with one of the more luxury brands that I would then have to spend lots of money on to buy it again. At least with No7 I know I can afford it. Plus the bonus of Boots Advantage Card points! So anyway, what are your thoughts? Let me know below which one you would go for or if you would go for one not mentioned here! Previous Post I did it! YouTube is officially a go!